Alemany Flea Market, San Francisco 5 out of 5 based on 2 ratings. 2 user reviews. Alemany Flea Market in San Francisco is one of the best places in the Bay Area to buy vintage and antiques. Although much smaller than the huge Alameda Antiques Fair across the Bay, the weekly Alemany Flea Market offers an abundance of vintage and antique treasures and handcrafted items. Located in the Bernal Heights neighborhood of San Francisco, Alemany Flea Market is known for its great assortment and variety of vintage merchandise. 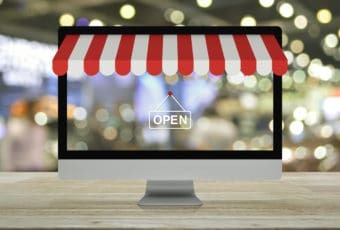 In contrast to most other flea markets in San Francisco, Alemany Flea Market applies strict vendor rules that prohibit the sale of new items that are less than 20 years old (with the exception of handicrafts). 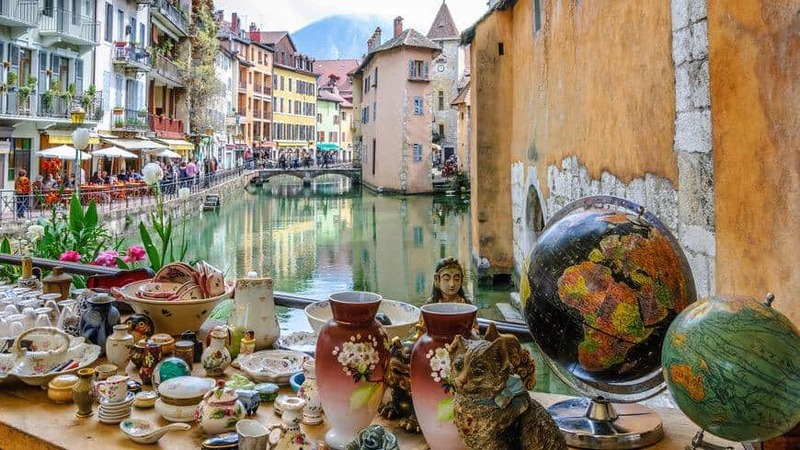 It is focused on antiques and collectibles, although every first Sunday of the month (Garage Sale Sunday) the sale of newer second-hand items is permitted. 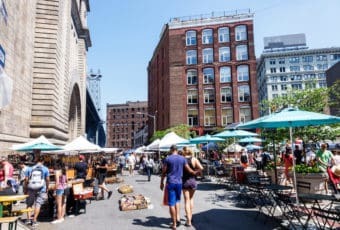 Not to be confused with Saturday’s farmer’s market, the Alemany Flea Market takes place every Sunday, rain or shine, all year round. The location of Alemany Flea Market is not the most scenic of all (close to the I-280 overpass) but the wide variety of merchandise and delicious food compensate for the lack of spectacular views such as those to be admired at TreasureFest. 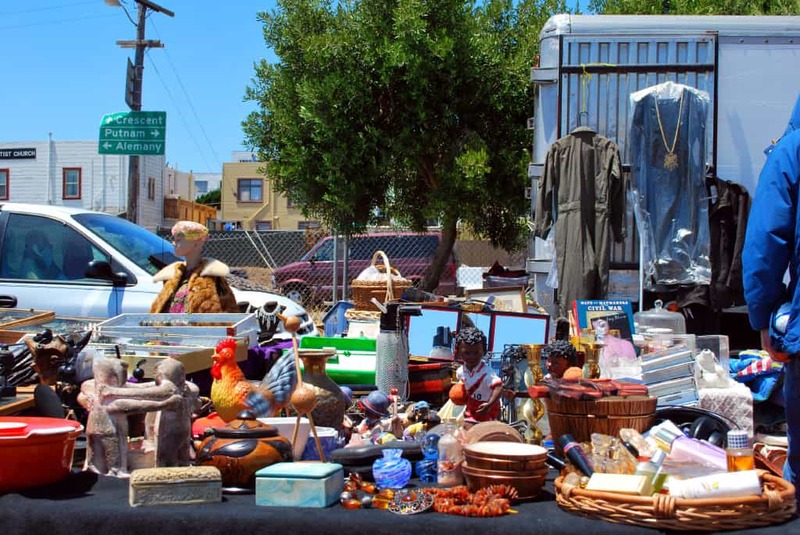 You may find all sorts of random things at Alemany Flea Market, including collector’s vinyl, vintage and antique furniture, old tools, vintage plates, vintage fashion including clothes, purses and hats, jewelry, old toys, used DVDs and VHS, broken musical instruments, old coins and stamps. Note that generally, on the first Sunday of the month (Garage Sale Sunday), you are better advised to visit Alameda Point Antiques & Collectibles Faire instead, where all of the best dealers go once a month. While Alameda certainly offers more choice, at least the Alemany Sunday market is doable in a couple of hours, whereas Alameda is a full day excursion.